A Snail's Eye View: Displaced, Misplaced or Misidentified*: Orange Lacewings in the Wet Tropics? An occasional blog about natural history, travel, books and writing ... and anything else that catches my attention. 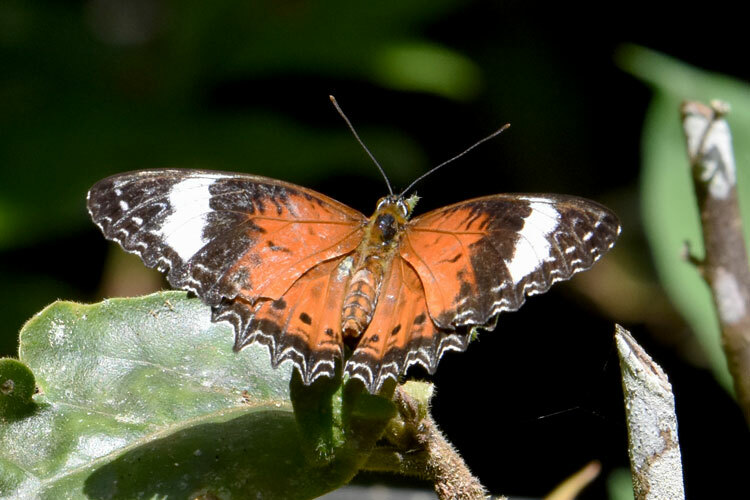 Displaced, Misplaced or Misidentified*: Orange Lacewings in the Wet Tropics? These butterflies have been around the garden all year, never settling for long enough for me to get a good look. But the other day, this one stopped to bask. So I grabbed the binos. And then I grabbed the camera, because I wasn't convinced that I'd made the right identification. Butterfly IDs R definitely not US. This fellow looks very much like an orange lacewing (Cethosia penthesilea, family Nymphalidae). 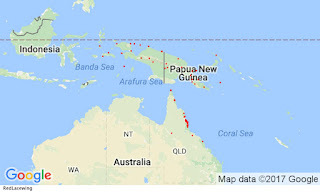 There are two lacewings in northern Australia: this species, which is normally restricted to the Top End, and the red lacewing (Cethosia cydippe), from the Wet Tropics and eastern Cape York Peninsula. They differ from each other in the main colour and the extent of black of the upperside of the wings, and the pattern on the underside of the wings. 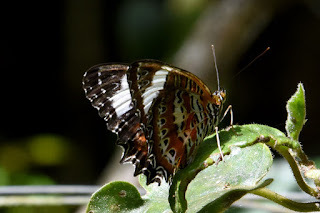 You can see an image of the red lacewing here: Beautiful Butterflies of the Wet Tropics. I was surprised to see him and his Darwin mates at my place, so I checked the Atlas of Living Australia. There are only two records from Queensland. 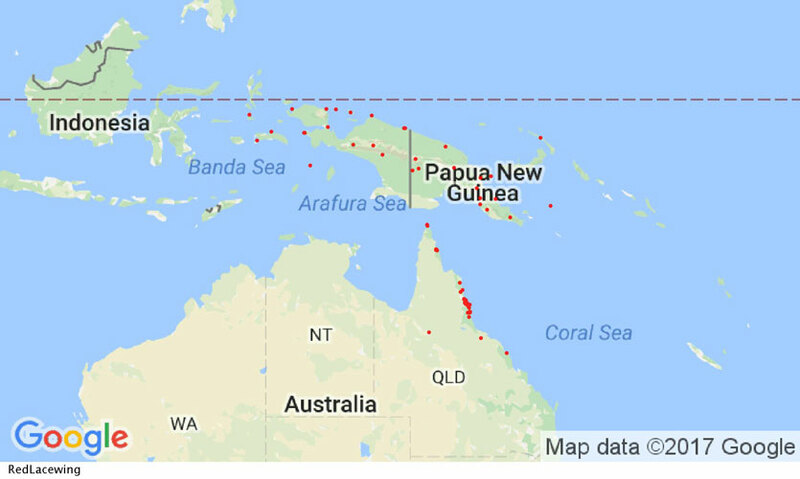 The one from the tip of Cape York Peninsula is undated, but the Cairns record is from February this year. Note that in the discussion of the Cairns specimen, there is speculation that the photo might have been taken in a butterfly house. Certainly, the Kuranda Butterfly Sanctuary, near Cairns, has orange lacewings on display. Now have a look at the records for the red lacewing, the FNQ local. Here's the Atlas of Living Australia's map. And then have a look at the images associated with those records. Two taken in Cairns are of butterflies similar to the one in my garden. (The third Cairns photo is the one discussed above.) Those records are from 2016 and 2017. Have I misidentified the butterfly? Is it just so battered at the end of its short adult life that the black scales have worn off, changing its appearance? Has it been brought in by the winds and established here? (The caterpillars feed on Adenia heterophylla (Passifloraceae), which is also the foodplant of red lacewings.) Or has it been released by a butterfly breeder? Any information gratefully received. In the meantime, I'll keep an eye on the butterflies in my garden and see what else turns up. Braby, M.F. (2009) The Complete Field Guide to Butterflies of Australia. 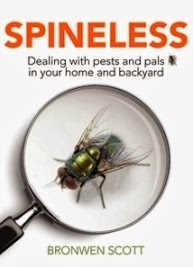 CSIRO Publishing. Hello Snail ... it is indeed an Orange Lacewing that is misplaced. While naturally confined to the top end it is not surprising that you have seen one at Atherton because it is a species that breeds well in captivity and apart from the Kuranda butterfly farm I know others have from time to time held them in captivity on the Tablelands. It is extremely unlikely that this species would have ever made the journey across the gulf of its own accord. That is not true of the Tawny Coster, which arrived on the tablelands from Darwin this year and continues southwards now that it has hit the east coast. 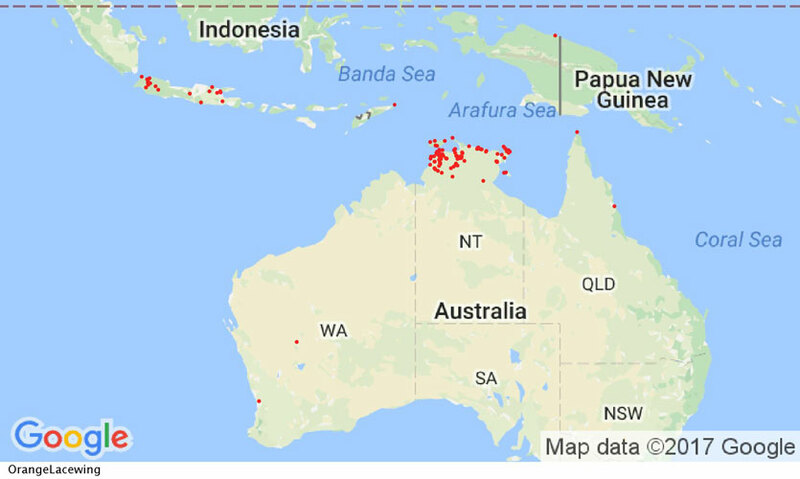 But that's another story and there are larval food plants all the way from Darwin, the gulf, the Peninsula and south even to Brisbane. Well spotted on your part to pick up this sighting. In my view it is definitely a local escapee (or deliberate release). Thank you very much for that info. There have been quite a few around this season. I haven't see red lacewings here, so I'm not sure if the orange lacewings will become established. I'm not fond of people releasing out-of-area anything, especially if they're likely to be competing directing with local species. 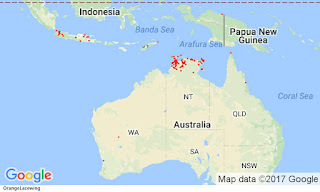 BirdLife Australia (2016) Working List of Australian Birds, Version 2. Writing and editing services in environmental and biological sciences. Testing something. - Nothing to see here, really.